i. Supervises setting and moderate of items for the respective subject. ii. Supervise marking of e 5 vi. 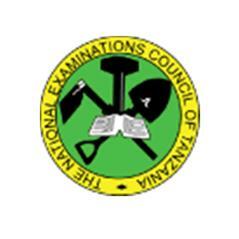 Conduct analysis of various reports on National Examinations and makes recommendations on appropriate actions. viii. Responsible for maximum confidentiality and security of examinations. viii. Performs any other duties as assigned by his/her supervisor. i. Supervises setting and moderate of items for the respective subject. ii. Supervise marking of examination. iii. T y p e s e t t i n g of examinations paper and marking schemes for respective subject. v. W r i t e s various reports related to examinations. vi. Conduct analysis of various reports on National Examinations and makes recommendations on appropriate actions. vii. R e s p o n s i b l e for maximum confidentiality and security of examinations. Performs any other duties as assigned by his/her supervisor. Bachelor Degree in Education, Linguistic or equivalent qualifications from a recognized Institution, majoring in Arabic Language with good writing and analytical skills; must be computer literate.